Crypto Currencies like Bitcoin ,Litcoin ,Ethereum has new Trend of next level of Financial revolution. 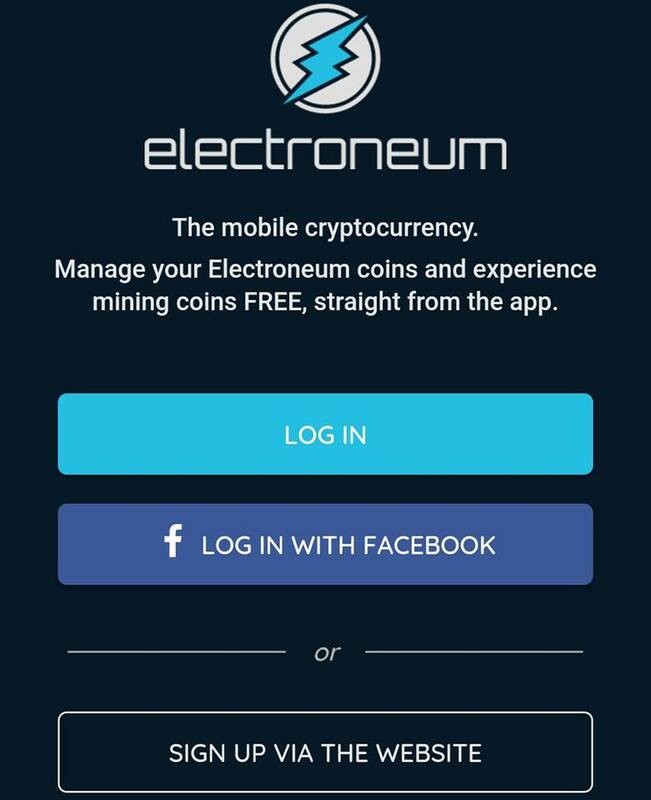 Electroneum in short ETN is Mass adoption Crypto Currency which allow Mining of ETN or say Generating ETN in Normal Mobile Phones which is Crazy idea if You think. 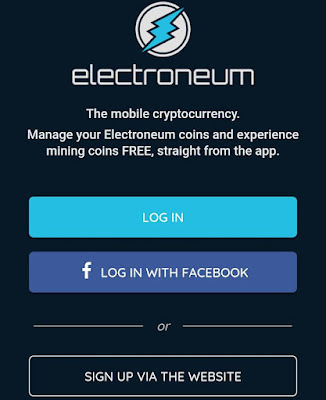 Until today their are thousands of Crypto Coins which all are mine on Powerful machines and takes so much time to mine some Coin But in Electroneum it takes very less time to earn ETN and more you earn ETN threw Mobile Mining More money comes in your Pocket. 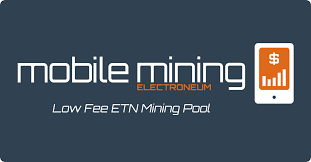 If You are new In crypto do’t very we are gonna Tell you each steps here How you can earn ETN Coin threw Mobile Mining and How You cash Out in Real Money or Fiat Currency .So Let’s Go to steps you have to Just follow steps Carefully . 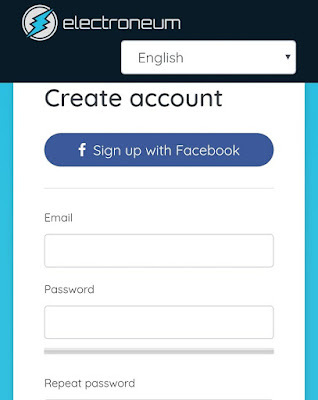 Now Open The app and Click Sign Up Via the Website Button to create Account. Now Sign Up Page Open from Here Click Sign up Via Facebook Button or Fill the Form. Now Verify email and Enter Mobile number to do OTP Verification. 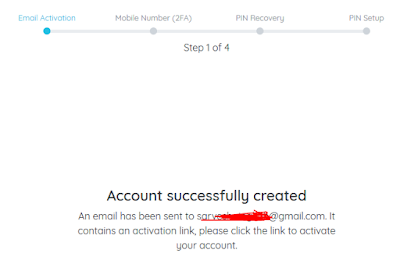 On next Step create Login Pin to Login in app every time and Continue. Congrats! You Register Successfully now we have To Mine. 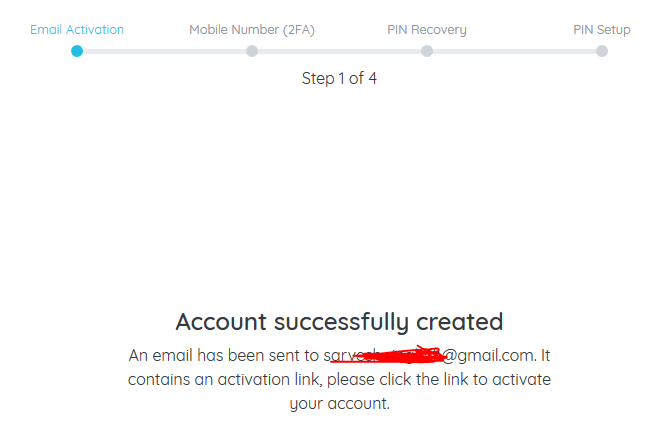 After Creating ETN Account Open the app again. Now Login Via Facebook or ID password again . Enter your Login PIN To continue. Now You see ETN App is Open and You See START MINING Button. 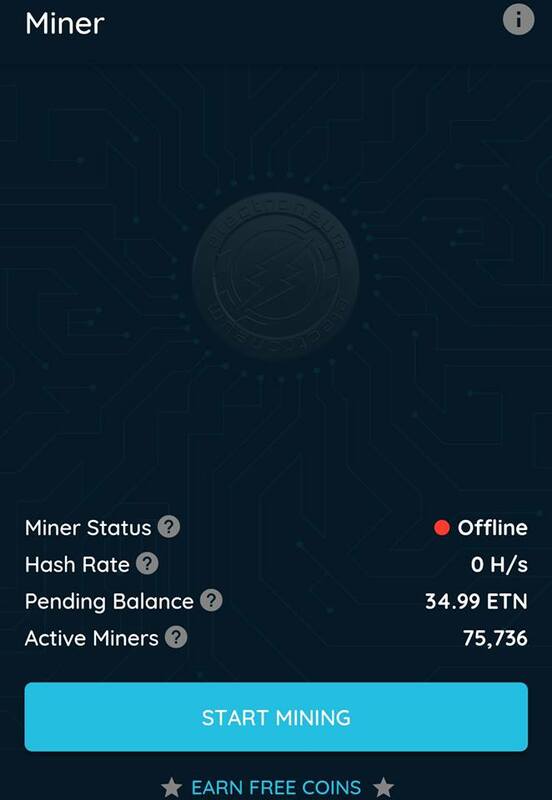 As You Hit Start Mining Button it start Mining ETN Coin for You . 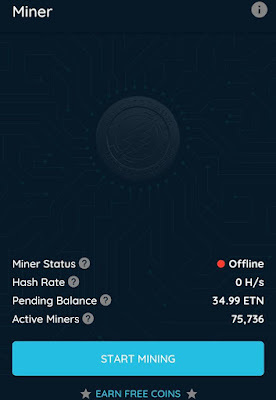 On the same Page You can see Your Mobile Hash Rate ,Pending Balance which You earn threw Mining and Total Number Of Minerswhich are mining right Now as you are doing. As you Mine 10 ETN which takes around 1 Hours* It can be Ready to Transfer in your wallet From where You can Redeem it. 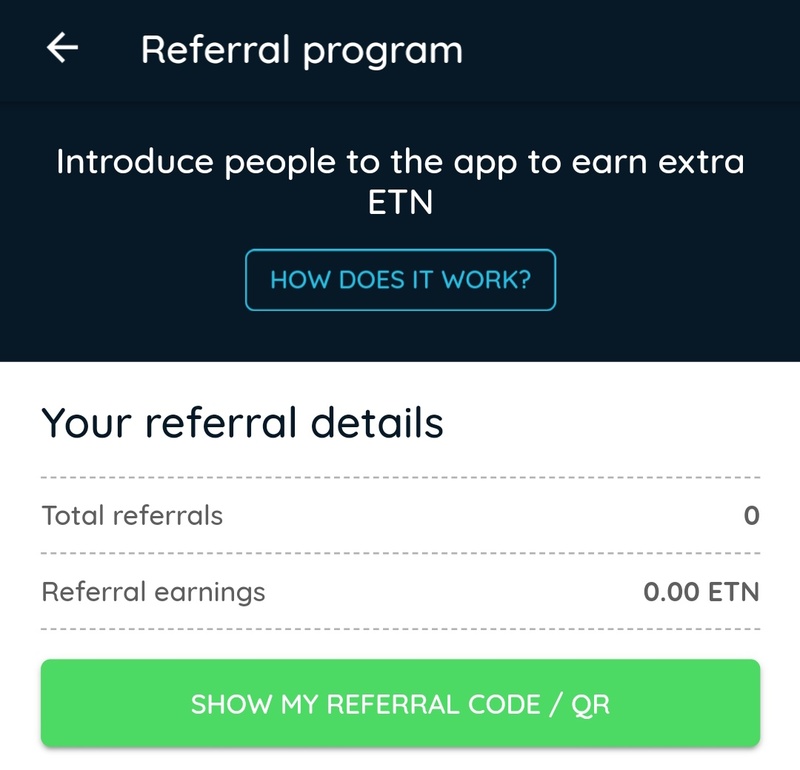 ETN also Running Bonus Invite and Self Earn Offer where If you can use any one Refer Code You Get 1 % Extra ETN every time what ever You mine daily . 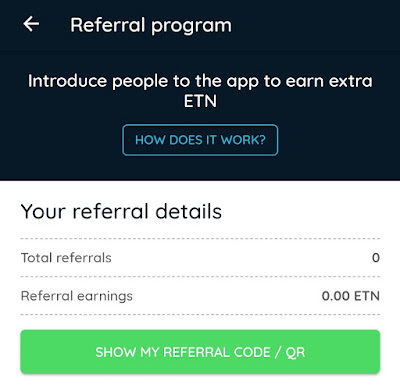 And who Refer You they will Get 5 % extra Of your ETN mining every time SO you also earn and refer your friends to earn 5 % for every One.So let’s Follow the steps TO earn extra ETN. Open the app and Click Earn Free Coins or Go to setting To find Refer Option. 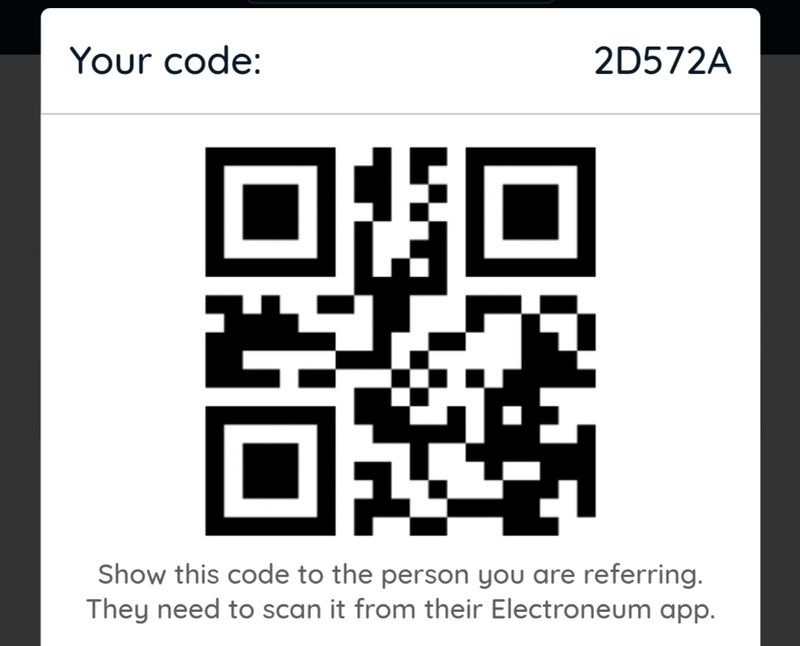 As you enter this code you are eligible for 1 % Extra ETN Mining. To refer Your Friends click Show My Referral Code/qr Button. Collect your Code and ask your friend to join the app as you do and enter your code. As your friend enter your code you get 5 % of their Mining and they Gt 1 % extra of their Mining.